The feeling of dread when you see a yellow piece of paper on your windshield is something every Greenville University student will experience at some point in their college career. 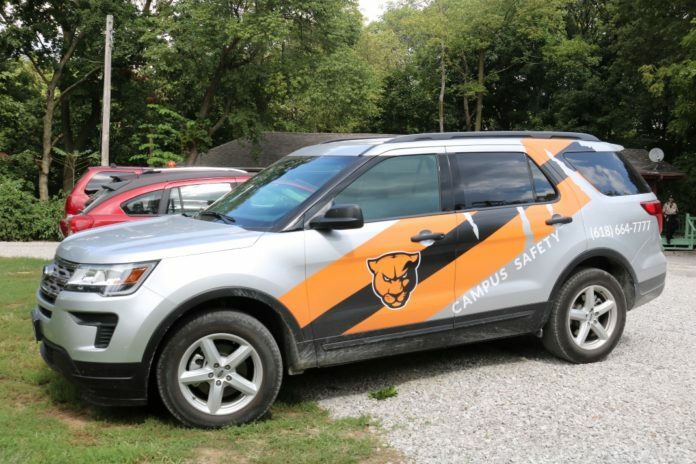 You may think that Campus Safety’s only job is to give out tickets and ruin your day. 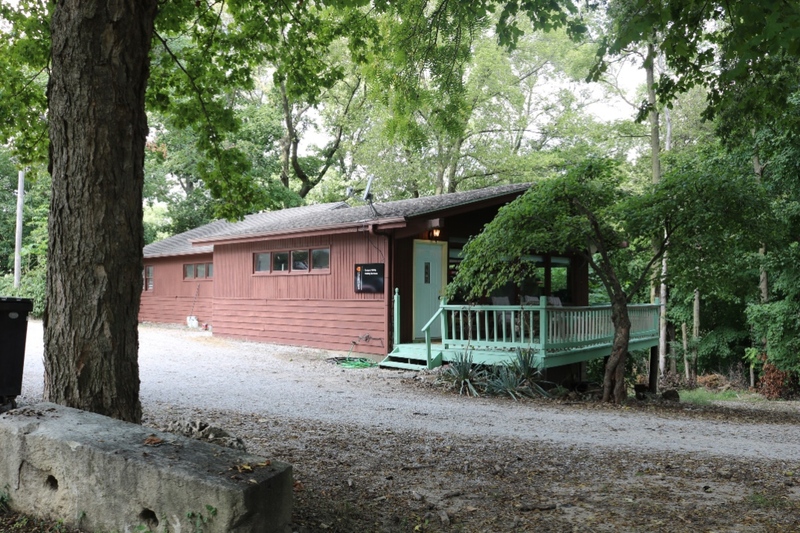 However, they serve a much greater purpose and are the heartbeat of Greenville University. But who are the people that put those tickets on your windshield? No, they are not trying to ruin your life; they are simply trying to keep the campus organized and safe. What is Campus Safety? What do they do? I interviewed Michael Lennix, the director of campus safety, to find answers to these questions. Lennix is a Greenville College graduate and did post-graduate work at both Louisville University and Northwestern University. He graduated from the Chicago Police Academy, IL State Police Academy, and the IL Department of Corrections Academy. Upon inquiry of “what is campus safety?” Michael answered, “the primary role of the Office of Campus Safety is to work in partnership with the campus community to enhance a safe living, learning, and working environment, provide quality service with an emphasis on integrity and professionalism, and to promote individual responsibility and cooperative commitment.” Greenville University was ranked the 2nd safest college campus in IL. This great achievement for the University wouldn’t have been possible without the hard work and dedication of Campus Safety. 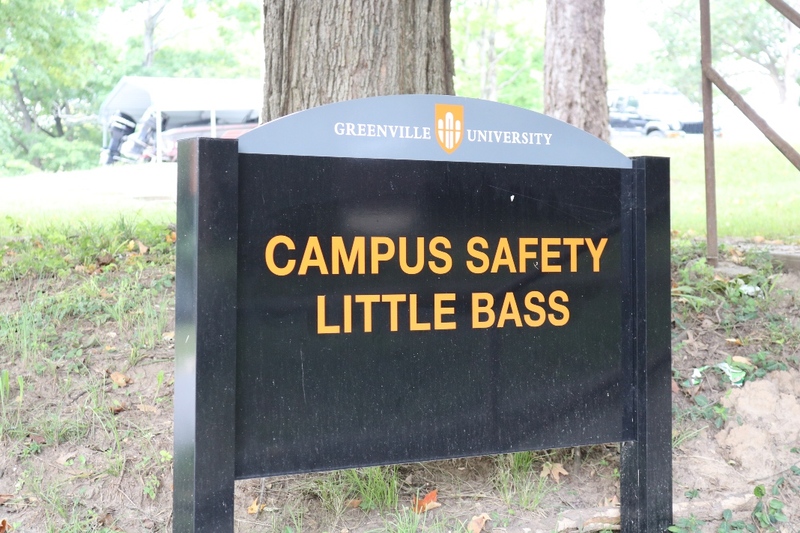 Campus Safety works around the clock to keep Greenville University students safe. According to Michael, some of their responsibilities include: managing campus crime prevention and safety programs, campus parking, campus electronic access and security surveillance systems, conducting investigations, emergency management and planning, physical security of the campus and much more. All of this is all conducted by highly trained officers who, according to Michael, “have either served as Patrolmen, Detectives, Correctional Officers, Fitness, Self-Defense, Driving or Firearms Instructors, Commanders and/or SWAT operatives.” Having officers with such diverse work experience helps Campus Safety be prepared and knowledgeable on how to handle numerous situations. GU’s Campus Safety is currently ranked #1 in the state for Campus Safety. When asked about parking tickets, Michael responded with “students say they pay $30K to go to a University that hands out parking tickets. Everyone pays the same (so who should park where?). We didn’t create these rules. If truth be told, Harvard hands out parking tickets also.” The rules are there for a reason and as long as you have an up-to-date parking sticker and are in the correct lot, students have nothing to worry about. Yes, the freshman parking lot is a bit of a hike, but students have to work off that freshmen 15 somehow. Campus Safety offers jobs for students as ticket writers and offers one internship with the IL State Police every semester. So next time you get a ticket, try to remember that it was probably written by a student who is just trying to earn their way through school. No one likes giving out a ticket, so don’t make it hard on them. The job as a ticket writer is a great job for students who have a busy schedule and can only work for an hour or two at a time. When asked what the most rewarding part of his job was, Michael said, “communicating with those that want to learn, assisting those that need help, and I am absolutely passionate about providing safety, it is my calling.” So next time you see one of our Campus Safety officers, strike up a conversation with them. You will find that they are pretty interesting people. Our officers are not meant to be feared, they are here to protect us.